4 simple rules to follow in the use and installation of the car seat to ensure safe and peaceful travel. As soon as you get in the car, ensuring the safety and safety of your child is the first duty of every parent. It is essential, therefore, to follow some simple rules to use the seat correctly, ensuring safe journeys, in total safety. 1. Not sometimes, but always! Even if the journey is short, if it is hot, if you are in a hurry, the child must always be secured, seated and correctly fastened inside the seat. There is no whim that takes, nor urgent need: when it comes to security, this must be guaranteed at all times and in every situation. Not sometimes, but always. When choosing the car seat that is most suitable for the growth phase of your child, always check that the homologation label is present. It is orange in color and contains all the information and the main features of the product. Its presence is the first great guarantee of the quality of the product you are buying and to which you are entrusting the safety of your child. 3. New, it’s better than used! As far as the car seats are concerned, the used car is not guaranteed. Second hand seats, in fact, may have been damaged or show invisible wear that could compromise safety standards. It is absolutely inadvisable to use seats that have been involved in accidents. At least until the end of the fifteenth month of life, it is important to transport the children with the seat in the opposite direction of travel. This will prevent the child from potential and unnecessary risks of injury or trauma to the head and neck, because they are properly supported and the forces generated in the event of an impact are spread over a larger area. Therefore, the seat must always be used correctly and securely, following these simple rules. 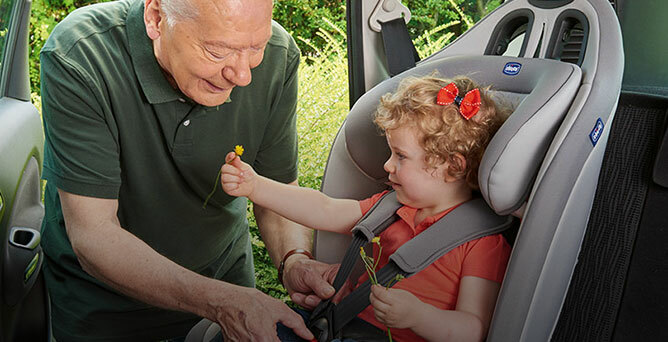 These measures should also be recommended to grandparents and relatives who transport the child, even if occasionally and for short journeys. This entry was posted in Car Safety. Bookmark the permalink.